The Food is Medicine Coalition’s Clinical Committee, overseen by our Advisory Board, has issued guidelines based on over 30 years of experience developing the science of medically tailoring meals. Our Clinical Committee is made up of Registered Dietitian Nutritionists, who are experts in treating serious illness with nutrition. what is a medically tailored meal? 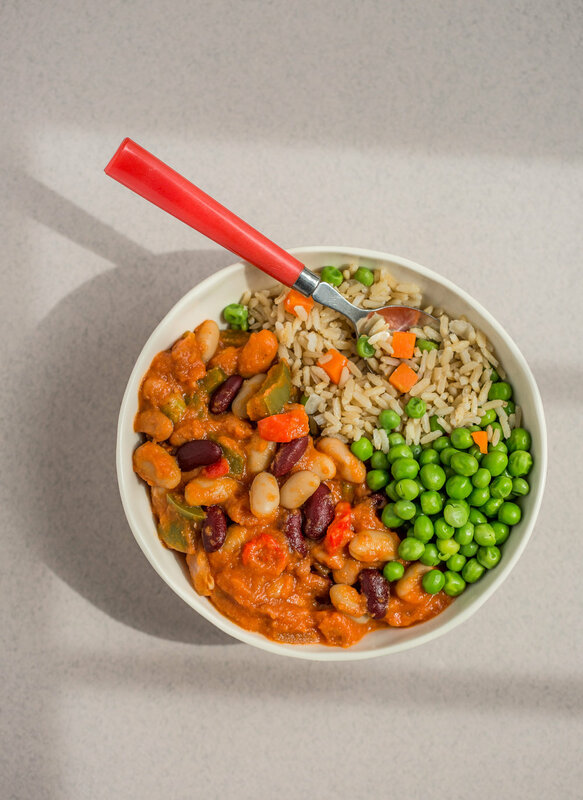 Medically tailored meals are delivered to individuals living with severe illness through a referral from a medical professional or healthcare plan. Meal plans are tailored to the medical needs of the recipient by a Registered Dietitian Nutritionist (RDN), and are designed to improve health outcomes, lower cost of care and increase patient satisfaction. Who needs a medically tailored meal? People living with serious illnesses benefit from eating foods that are specifically designed for their diagnosis, as well as the additional complications that come with that illness (i.e. , treatment side effects and comorbidities). Medically tailored meals help the “sickest of the sick” in our communities, or the 5% of patients that cost 50% of healthcare costs. In the pyramid to the right you can see this illustrated. We operate at the top of the pyramid in the treatment spectrum of food and nutrition services and, as such, we often function in the healthcare space as a part of a patient’s treatment plan. Why Is our approach unique? A medically tailored meal, as defined by the Food is Medicine Coalition, does not simply mean putting someone on a diet. Our clients’ medical lives are complex - many are living with more than four serious illnesses at once - and they require an equally complex nutrition intervention. This is why our model requires an assessment by a Registered Dietitian Nutritionist who then tailors the meal plan to the unique needs of the individual. In our over 30 years of experience working with this population, we have developed a sophisticated set of food and nutrition standards, founded in research, that have been shown to result in better health outcomes, lower healthcare costs, and improved patient satisfaction.